Welcome to summer! 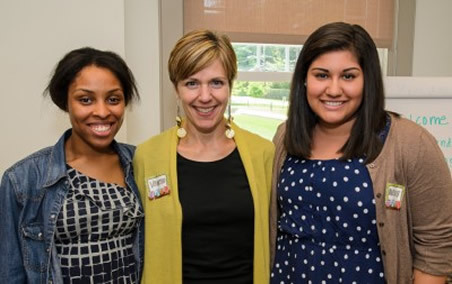 We have partnered with the Tri-Co Digital Humanities Initiative this year to sponsor a Greenfield intern to conduct historical research in the college archives for a digital project. 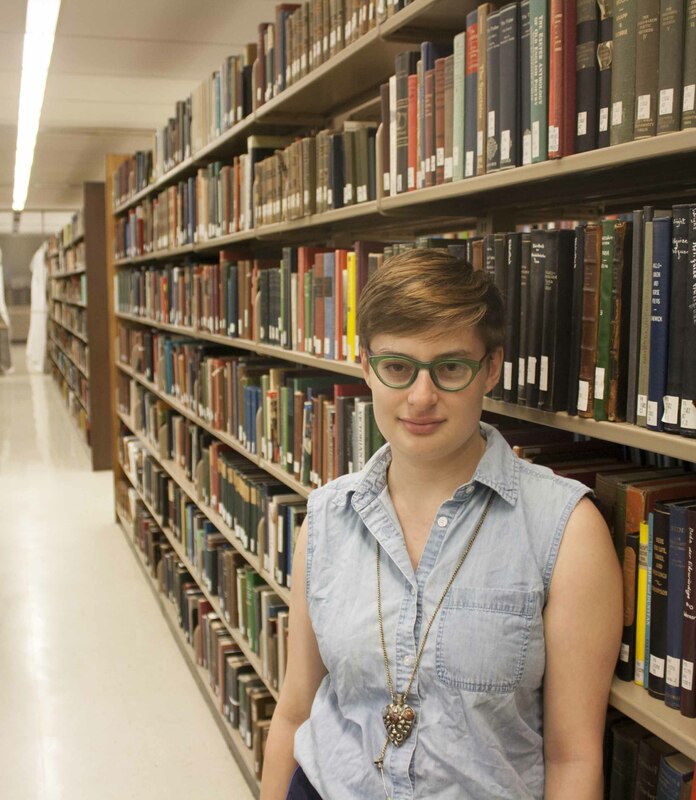 Brenna Levitin, class of 2016, is a Gender and Sexuality Studies major and will be spending the summer excavating some of the history of queer individuals and groups on campus at Bryn Mawr. In just over a week in the archives Brenna has covered an immense amount of material and has already uncovered some interesting finds. Here, she shares a poem written by an alumna from the class of 1968 that was published in the 1989 Alumnae Bulletin. 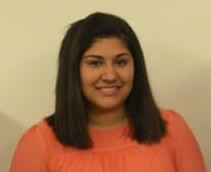 Look for more posts from Brenna as the summer continues! Bryn Mawr is often associated with lesbians by the world’s collective conscious. This association and its accompanying veracity have, however not always been publically acknowledged by the college itself. 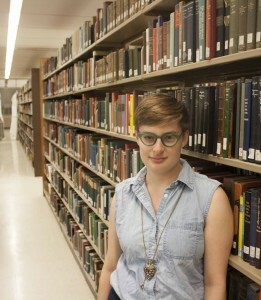 When looking through the archive, LGBT sentiments most often crop up in student publications. 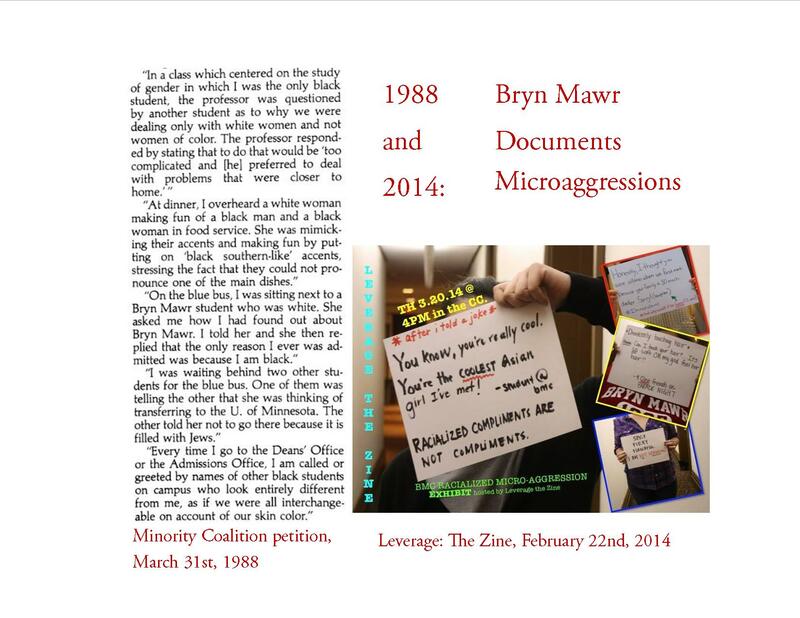 These newspapers, zines, and booklets give passionate voice to the oft-marginalized lesbian[i] students. In 1989, the Alumnae Bulletin published “The Pluralism Issue,” which gave voice to those alumnae/i who felt marginalized on campus. 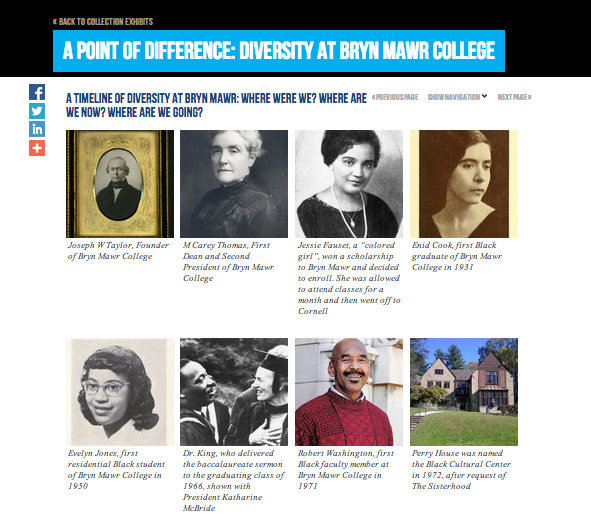 The editors sent out a call for submissions of writing about the minority experience throughout Bryn Mawr’s 104 year history. 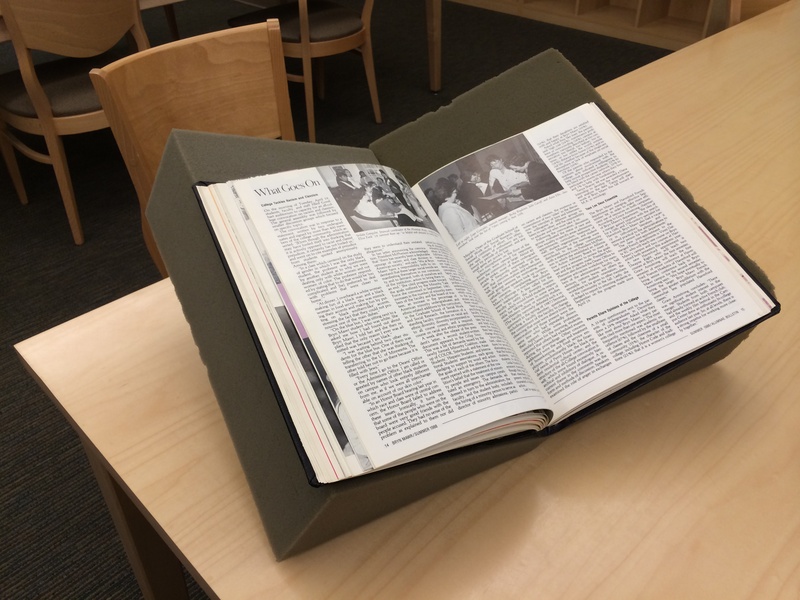 Most wrote about the lives of racial and ethnic minorities, but a vocal section described living as lesbians on a campus simultaneously approbative and hostile to homosexuality. Responses came from far—class of 1939 and near—class of 1989, from anonymous submissions with vague graduation dates to those who confidently outed themselves. One submission was the following poem, written in 1989 by Judith Masur ’68. The poem discusses the experience of a lesbian living within the predominant heterosexual culture of Bryn Mawr. Though awareness of sexual minorities is a fairly recent event, Masur elegantly weaves the tale of lesbianism throughout all of Bryn Mawr’s history, from M. Carey Thomas to the present. 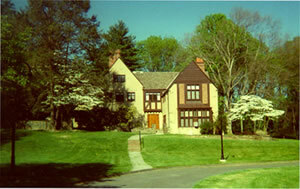 The first reference, to Bryn Mawr’s motto, is repeated twice. “Veritatem dilexi” means I delight in the truth. Which truth is left ambiguous, but is implied to be the existence of lesbians at Bryn Mawr. It is easy to see how lesbianism can be an eternal truth of Bryn Mawr: from M. Carey Thomas’s journals, to Applebee’s eponymous column, to the open mic nights of today, literary expressions of lesbianism are threaded through our history like one strand in a complex tapestry. The second stanza makes blatant reference to M. Carey Thomas and her partners, Mamie Gwinn and Mary Garrett, who lived together with Thomas (at different times) in her on-campus residence, the Deanery. Lesbianism as it is now understood did not exist in the 1890s, either as perversion or as fact of life. Gwinn and Garrett were explained as Thomas’s dear friends and companions, words which inadequately summed up their relationships as romantic and likely sexual partners. The anonymous “she” is Thomas, often misquoted as saying that only Bryn Mawr’s failures marry. Most likely, the quote was closer to, “Our failures only marry.” The poem wonders at the common misconception, inquiring whether the mistaken Thomas quote is perhaps the correct one. Written when marriage equality was not even a star on the horizon, the poem implicates heterosexual marriage as failure. Those who married men, failed. 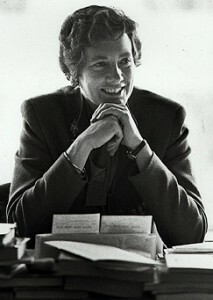 Perhaps the ultimate failure is, as a school, to erase the rich history of lesbians at Bryn Mawr. This post is the first of a series concerning the history of LGBT presence at Bryn Mawr College. [i] We use lesbian here because we are primarily discussing time periods where other non-heterosexual sexualities were not yet understood. We acknowledge and affirm the existence of bisexual and pansexual students on campus, and we hope that these remarks will be understood as addressing them, and any other woman-lovers, as well as the named lesbians.